We needed additional seating for Thanksgiving. I was tired of ugly folding chairs so I made two of these benches that were inspired by a Rogue Engineer post. My wife loves them. We love Rogue Engineer's projects! 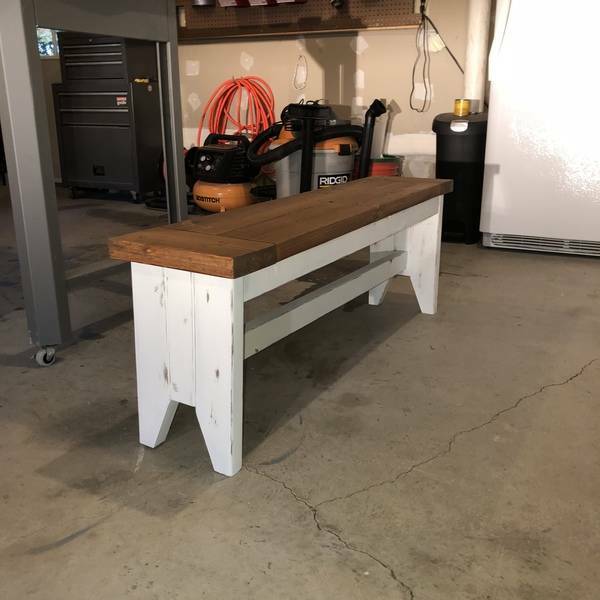 The bench looks awesome, did everyone enjoy it this Thanksgiving? This is a functional piece you can use for years to come!